Ierapetra Crete – known as Ιεράπετρα or 'sacred stone' since ancient times, is situated on the south of Crete in the prefecture of Lasithi. Located 36 km from colourful Agios Nikolaos, her south-facing aspect has assured an eventful history dating back to earliest times. Today the town has a population over 23,000 and is a rich agricultural, commercial and financial centre. 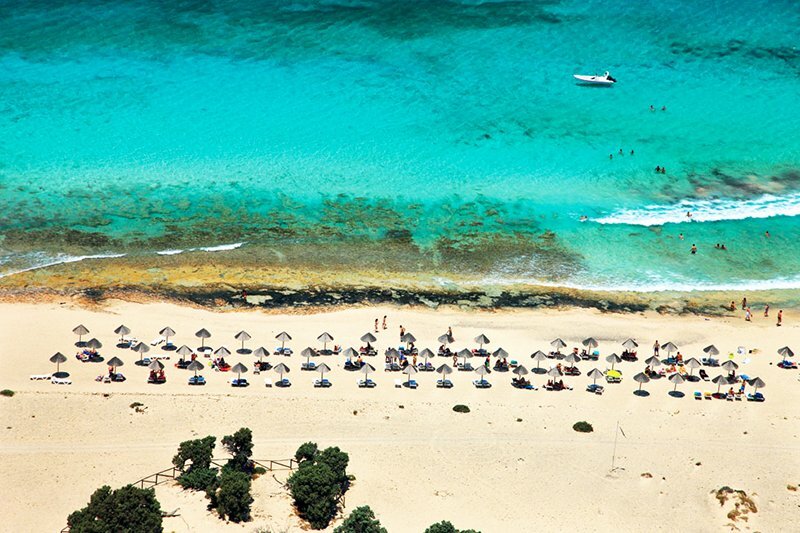 South-eastern Crete is blessed with Europe’s warmest climate and longest summers. This is one of the southernmost towns in Europe with very little rainfall each year and temperatures that average 12 ℃. A tempting variety of shops, open air cafés, bars, restaurants and traditional tavernas, makes it the ideal place to relax, enjoy shopping, eating, drinking and simply tasting the best of Kriti. Crystal clear waters and pretty beaches to the east and west, as well as scenic mountain country inland, mean there is plenty for visitors to explore in Ierapetra. Since 4th or 3rd century BC there was a Minoan or Achaean trading centre on this site and natural trade between here and Egypt. Then the Dorians based themselves here and the town was called 'Ierapytna'. Saracens invaded after an earthquake in 824 then Arabs ruled for many years. 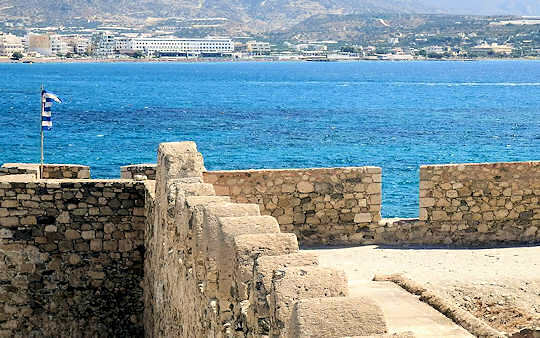 In the 13th to 16th centuries came Venetian rule, the name was changed to Ierapetra and the fortress was rebuilt. In 1647 the city was taken by the Turks who did not completely destroy the Venetian castle and kept it as a defence fort. During Ottoman rule a mosque was built that still stands today. The Archaeological Museum of Ierapetra Crete holds some valuable antiquities such as (left) a red-figure amphora from Manoliana near this site, dated to the 4th century BC. It is preserved in very good condition. The collection is located at 3 Dimokratias St on Kanoupaki Square in the centre of town. Kato Mera - the quiet narrow Venetian streets of the old quarter, known as the 'lower place' are reminscent of the old Kriti, and close to the harbour and the Venetian castle "Kales". Pano Mera - the more modern part of town is known as 'higher place' and extends some distance behind the fort and the harbour. The Venetian Fortress 'Kales' was built in the 13th century. 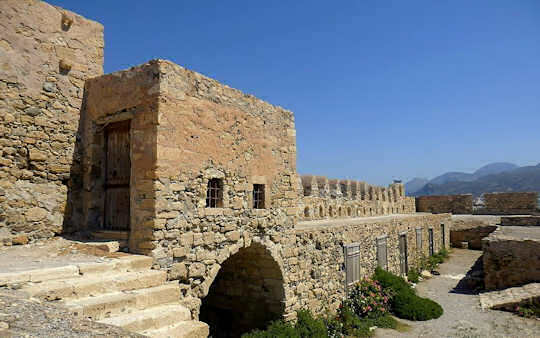 It served as protection against pirates, who regularly plundered the trading routes between Crete and the east. It is well preserved and sits by the harbour, open to visitors who contemplate its many stories whispered through the stones. The main town beach and surrounding beaches of Koutsounari, Ferma, Agia Fotia and Myrtos provide excellent swimming, diving and snorkelling. In the pastry shops, zacharoplasteia, you will find the Cretan specialities such as kalitsounia and bougatsa. During the summer the festival "Kirvia" is celebrated around the region with a great variety of events, music and dance by folk and pop musicians, theatre performances and art exhibitions. The Cretan Villa Hotel is an atmospheric traditional house with a real Cretan feel, a fully restored 18th century house of stone and wood, natural shades and lovely rooms, it is one of the nicest inns in town. Inland the valleys are dotted with many greenhouses, providing vegetables and fruit to the whole of Crete and beyond since 1966, and providing great economic growth to the area. 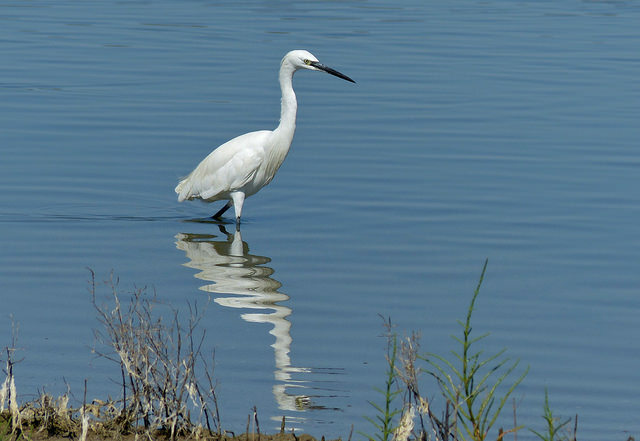 An artificial lake was created as a water source for the crops, and is known as Bramiana Lake, it is a wetland home to many birds. 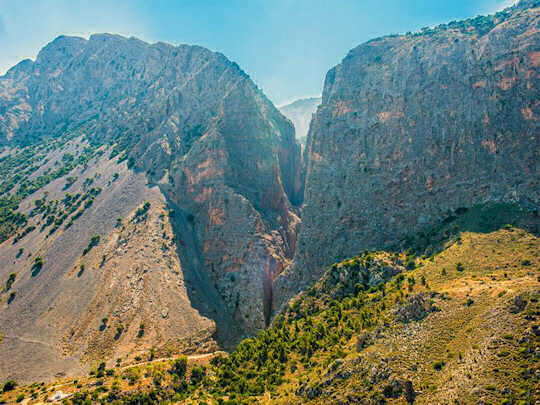 The dramatic Ha Gorge is 13.5 km to the north of town - a great really a chasm of rock, a climbers paradise. Very few people have crossed it. Not a gentle walk, but a truly dramatic landscape. 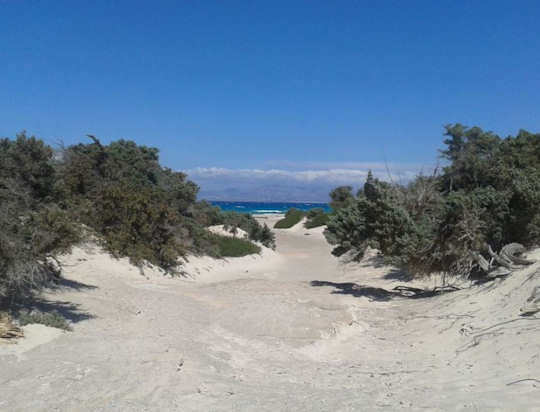 Taking an alternative driving route from Agios Nikolaos to Ierapetra via the villages of Kalo Chorio, Prina, Kalamafta and Anatoli will bring many traditional experiences and sights, hikers will find the Havgas Gorge near Kalamafta, just 12 km from town, and the E4 European walking path at Prina. Thripti Village is 16 km inland from from the city and 1475m above sea level, with magnificent views and mountain scenery, the village annual festival is on 13th and 14th of September. Selakano Forest is one of the most beautiful and important eco-systems in Crete, near the village of Males it lies on the southern slopes of the Dikti mountain range. The most common tree here is the pine tree Pinus brutia.This is one of the most important bee havens in Crete and centre of honey-making, be sure to find some freshly harvested meli in the mountain villages. Explore the many beaches all around Ierapetra, including Agia Fotia and Makrigialos, Koutsouni and Ferma, and take a day cruise to Chrissi Island, see below. From Ierapetra Crete take a cruise to the beautiful Chrissi Island which means 'Golden Island' due to the sparkling sand, to experience nature's wonderland in southern Crete. Walk with Donkeys near Ierapetra Crete is a donkey farm where you can visit to pat the donkeys, ideal for kids, or take walks in the mountains with the donkeys. Picnics and bird spotting walks can be arranged, and camping is available. Visit www.walkwithdonkeys.com and make sure to call first before you visit the farm.